Yesterday (Thursday) we drove to Sarmiento, Argentina. A small town located toward the center of the country between two very large lakes (which are mostly dry). It took most of the day to get there. The drive reminded us of New Mexico and Arizona. 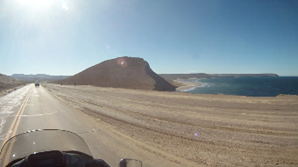 We were able to ride along the beautiful Atlantic coast for several hours before turning westward. Just before our turn, we saw a great place to pull-off and enjoy one last look at the Atlantic. 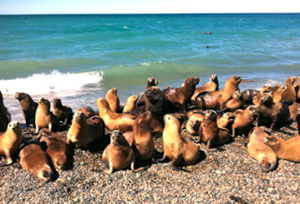 We were surprised to find two colonies of Sea Lions sunbathing on the beach. They were mostly friendly. You could walk among them. However the older and larger ones would get a bit aggressive if you got too close. Several times we had to run. We just might have some humorous video footage which will probably make it into the final documentary. As it is still vacation season in Argentina, arriving too late in the day can make finding a hotel difficult. 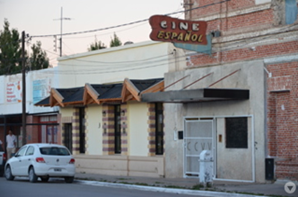 We found a tourist information office in Sarmiento which made some calls and found a hotel with rooms. We splurged on the best hotel in town, the Hotel Colon; enjoying shaky bunk-beds for a mere $17.50 per person, we also celebrated the accomplishment of our first 1,000 miles under our belt. While the hotel was very simple. It was clean and the owners were extremely hospitable. 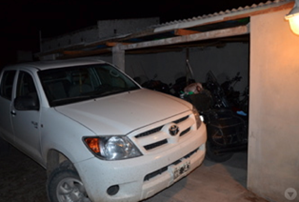 They stored our bikes in their carport and pulled their Toyota pickup across the opening to prevent any access by intruders. We enjoyed walking around the town and meeting people. There is a Paleontologist exhibit in Sarmiento that attracts many tourist (for such a small town). The exhibit is a dig showing petrified Patagonian dinosaurs. We had a nice lasagna dinner (with mosquitos as a side dish). 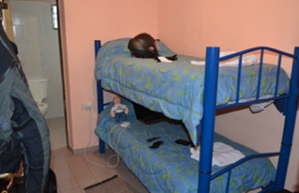 Also, this was the first time we had the privilege of sleeping on bunk beds (…a new adventure around every corner!). The rooms were small, but accommodating. Best of all, we had eggs for scrambled breakfast.